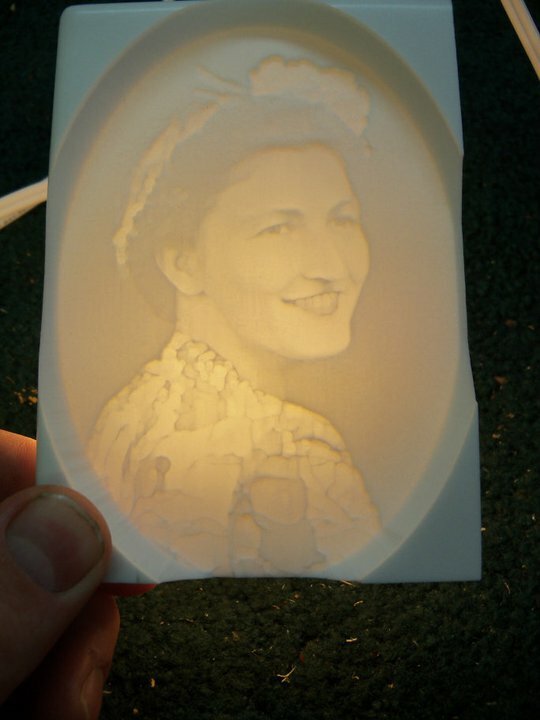 Recently, we helped customer David Fiend iluminate a lithophane of his grandmother. David, runs Parts and Templates, a CNC mill in San Carlos that builds for the entertainment and display industry as well as cutting for cabinet shops and stair builders. A lithophane is an etched or molded artwork that can only be seen clearly when back lit with a light source. 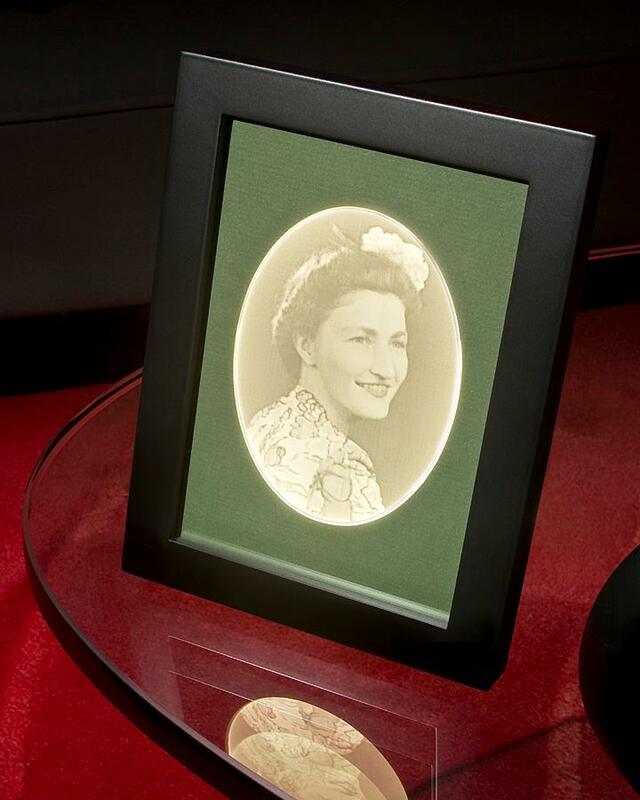 For his family Christmas presents he decided to use his work machine to create an etched image based on a photo of his grandmother from the 1940s.
" The item itself is white corian, just like you have in a countertop. It is cut very thin and the deliniation of light and dark is due to variance in thickness only, there is no pigment involved. In the old days, these were made of cast porcelain," said David. 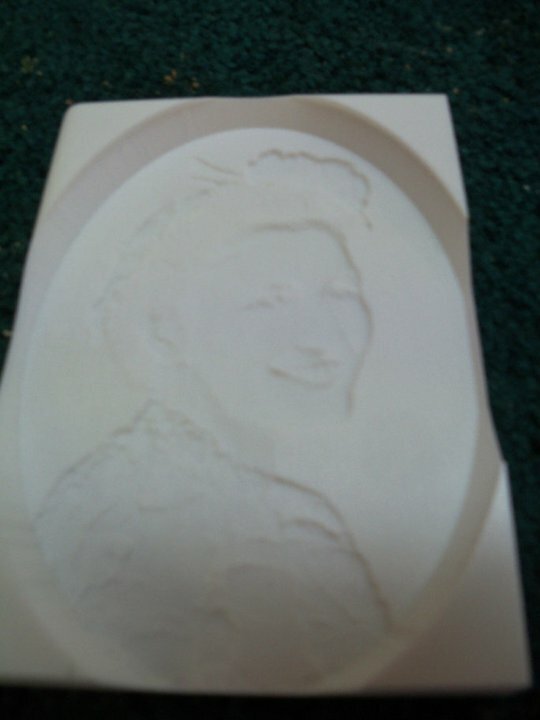 The tricky part of his project was getting a smooth illumination throughout the lithophane for the image to pop. 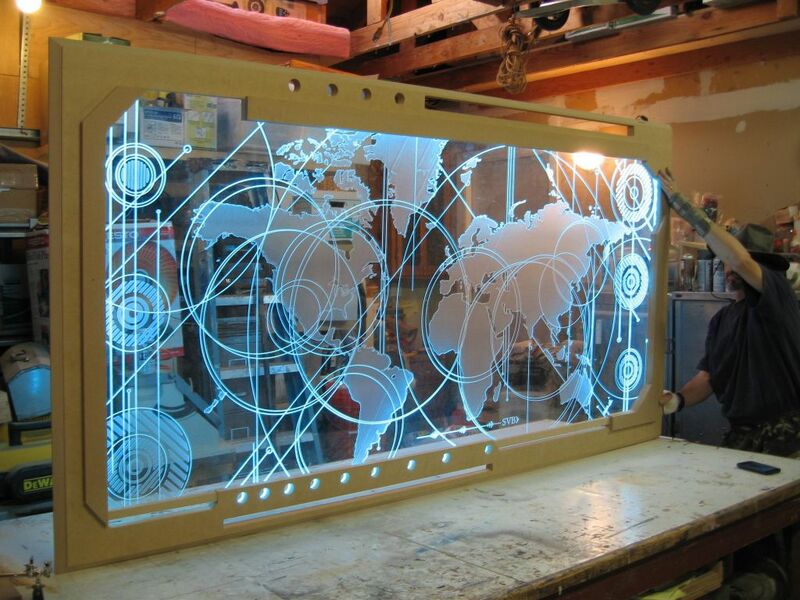 "The first ones I made were illuminated with LED panels from another company - OK, but not what I really wanted. The distance requirement for smooth illumination meant that the lithophane had to be at least 2" thick. So I ended up making boxes for all of those." After seeing a well lit project similar to his from a former student, David learned about our company and came to check out our lights in person. "I was happy to see that all I had to do was cross the Bay Bridge to visit your location. I could see what would work instead of order, wait, test and order again." "Once there your staff listened to what I wanted to do, figured out transformers, discussed wiring and showed me different types of strip lights, color temps, etc. What I work with now is a ring of LEDs around the image about a 1/2 inch outside directed inwards with a white card capping the back of image. This gives me a bright, even light in a depth of 1/2 inch including the glass and the image which will fit into a standard picture frame. Thanks for your help at the warehouse." If you're around the San Francisco Bay Area, always feel free to stop by our warehouse during weekdays 9AM - 4PM. Have a project of your own that you would like featured on our site? Shoot us an email at social@elementalled.com.